Whenever you attend a dog show you will see that there are other people present in the show ring apart from the judge and exhibitors. Each ring will have at least one ring steward possibly two. Although this is a voluntary job, no dog show could run smoothly without the services of these helpful people. Stewards have to call the exhibitors attention to the start of each class, hand out ring numbers and check any absentees for the judge. They also get to hand out the place cards and announce the ring numbers of the winners so if you want to be a steward, practice speaking in a loud voice. Anyone new to dog showing will be grateful for the help of a ring steward, mention you are new to this hobby when you first enter the ring and most stewards will keep an eye out for you. Remember you are not allowed to talk with the judge unless he asks you a question. The majority of stewards are very helpful and extremely friendly – of course there are the odd ones who run the ring tighter than a military manoeuvre and treat the exhibitors like foot soldiers! The steward will be on hand for the judge when he needs his judging book and other paperwork. Although the judge is in charge of the ring, the steward will see that the exhibitors stand where he needs them whilst judging is progressing. In essence the steward will ensure the smooth and efficient running of the ring. They will also ensure that the judge completes his paperwork and signs the challenge certificates if they are on offer. A steward is not supposed to complete the judge’s book but is allowed to advise the judge, particularly if the judge is new to the task. Stewards should be aware of the Kennel Club Rules and Regulations as to ring and show management although it is the judge and show manager that ensure they are implemented. You can obtain a booklet for ring stewards from the Kennel Club. 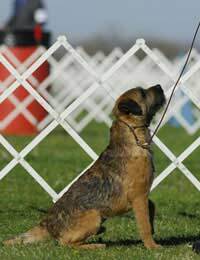 A steward must also be aware of breaks, order of judging – other breeds may be waiting to use the ring after your judge has finished his duties. If there’s to be a group judging ensure your judge is aware of the time – also you may have to advise your judge on where to find his lunch and supply cups of coffee while he is working. A ring steward will also ensure the safety of the ring during judging, that there are no interruptions or attractions from outside the ring and that no one apart from exhibitors and judges are inside the ring during judging. If you’ve ever considered training to be a judge then becoming a ring steward first is great training. Keep an eye out for advertisements in the canine press for seminars and workshops; some have courses for stewards. Certificates of attendance are normally provided and will look good on your judging CV apart from giving valuable guidance before you enter the ring. You will also have to prove that you have served time as a ring steward if you ever wish to judge. A steward’s record book is available from the Kennel Club to record appointments. Contact any show secretary or show manager and they will be more than grateful for your assistance. If you explain that you have never worked as a ring steward before they will pair you with an experienced steward for your first appointment. Well, as it’s voluntary there won’t be any payment but you get to see close up how experienced show judges work. You will be able to view the best of show dogs and speak to some of the exhibitors. Apart from the eternal thanks from the show committee you will be rewarded with a lunch voucher and can park for free – then there’s the poo bucket! Hi Everyone. Myself Manjunath, I have worked as an waiting ring Steward for 7 shows. Now I wanna take the ring stewarding examination. Kindly give me guidelines,suggestions and any Document which will help me. Your inputs and guidance will be very helpful.